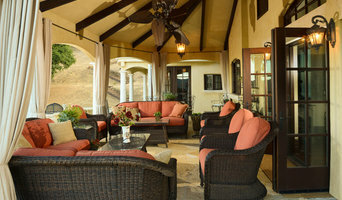 Smart homes by Design has been creating and installing custom home theater and automation systems since 1998. We take pride in the close customer relationships we have established through the years. NuHome Tech is an Audio/Video company with one purpose... to create unforgettable experiences. There are plenty of A/V companies out there but very few can leave clientele in awe. Global Wave Integration offers innovative solutions and superior service provided by the imagination driven science and technologies. Expect world-class performance! 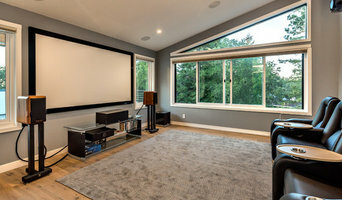 Precision Audio Video Installations specializes in providing the highest quality home audio and video equipment, as well as expert design and custom installation services. At Smart Homes Innovations, Inc., we stay on the cutting edge of technology while meeting the ever changing needs of our customers. We always bring new and fresh ideas every day to our clients. Whether you’re looking to complete the design of your home theater room or you just want to update it, we will work with you to ensure you get the seating that works specifically for your needs. We are a full service custom integrator that specializes in quality service. 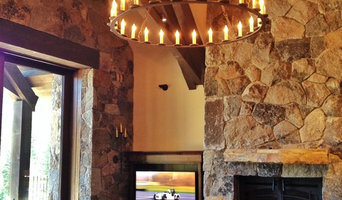 We offer full design services and installation for all your low voltage and home integration needs. Whether you are choosing an energy efficient environment or creating a technologically enhanced lifestyle, you should feel that when you have questions or concerns you have someone there to help. Glabman Technology Solutions (GTS) is a systems integrator located in Orange County, CA that focuses on technology that improves the quality of life of our clients. At Matrix Digital Services, our mission as a tech-driven service company is to bring the latest and best technology has to offer with simplicity and utmost professionalism possible. Call us today! Our passion for over twenty years… Evolution Audio & Video is a unique multi-media design firm. Our passion for music and movies is reflected in the attention to detail of every system we install. We are a highly specialized custom integration firm with extensive experience designing and installing sophisticated electronic solutions. We work with architects, designers, builders, and homeowners. We custom design, install and integrate leading smart home products and technology into a Unified Smart Home System that enhances the quality of life. Crown Jewell Entertainment Systems, Inc.
Crown Jewell Entertainment Systems is a provider of low voltage and technology solutions, products and services. Our emphasis is to maintain a high standard of service, quality products and value. 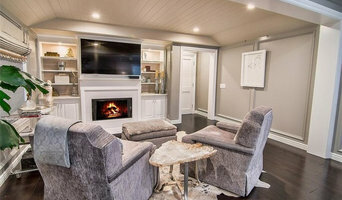 If you're the kind of person who loves hosting parties where guests watch the Oscars, the Super Bowl, or the latest sitcom, putting the time and effort into creating a cozy media room or theater in your San Francisco, CA home could be a good investment. But unless you're a wiring and surround-sound guru, figuring out the technical issues can get a little messy. That's where a home media designer comes in. Find a home media designer on Houzz. Narrow your search in the Professionals section of the website to San Francisco, CA home media designers. You can also look through San Francisco, CA photos by style to find a room you like, then contact the professional who designed it.